Fort Trumbull Hidden Gem! 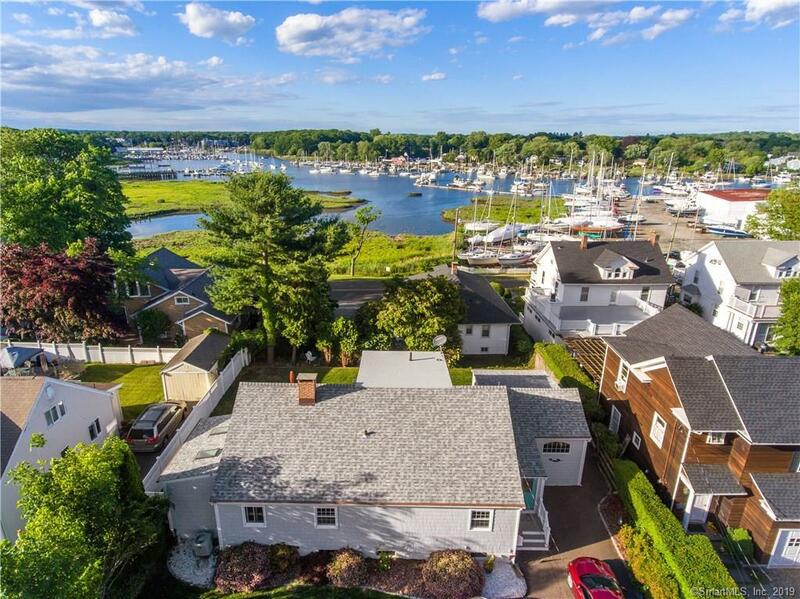 Enjoy Harbor views and watch the boats float from this pristine recently renovated 3 bedroom 3 bath 2,300 sq ft. custom cape overlooking Milford harbor. The sunny open floor plan features a generously sized Living Room with fireplace and access to a 40 foot Trexx deck, an expansive kitchen with breakfast bar, skylights, stainless appliances and a large Dining Room area, a main level family room has built-in washer/dryer, a full bath and deck access with outside shower. A private main level Master Bedroom includes a full bath. Main level office with built-ins or 4th bedroom. Two bedrooms on the upper level, one with a full bath, and a pretty balcony off the upper hall to enjoy sweeping harbor views. A partially finished lower level offers tons of storage and Play Room. A perfectly sized fully fenced level yard. Hardwood floors throughout. Central air, Irrigation system, and hot tub. A short stroll to a neighborhood grocery/liquor store, Fort Trumbull beach, and Milford Yacht club. Walk to Metro North train and Milford Green. Just in time for the 2019 beach season! Itâs not just a house but a life style!